There are so many cute things! 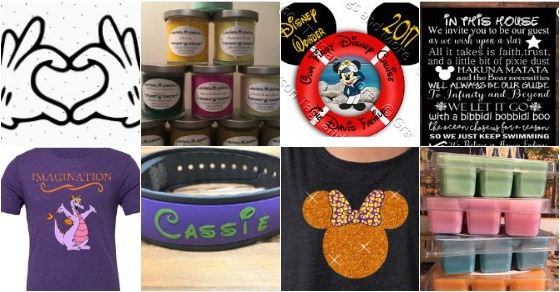 I've ordered party favors, fish extender gifts, MNSSHP t-shirts, Christmas gifts, door decorations, and more through Disney because everything is so creative and personal. Visit this special landing page to see all of the Disney products on sale on Etsy.